Ms. Cory Aquino, you and your family are always, always, in my prayers. If only the Filipino people can help you carry the pain you are feeling now... We love you, first woman president. Hold on to your battle. 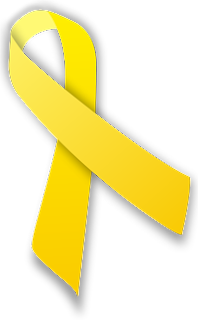 I tied a yellow ribbon just for you. These are some of the pictures that were taken during our four-day vacation in Hong Kong and Macau. I went with my cousins from my mom's side as they were also vacationing from Texas, Kuwait and Riyadh. See, they come from all over the world. We stayed in Butterfly on the Prat Hotel in Prat Avenue, Tsim Tsa Tsui. Great location for the hotel! We rampaged through the City Gate Mall in Tung Chung right after landing so as not to waste time. Headed to the hotel to rest and shopped along the area after. Had a side trip to Macau on the second day and visited The Venetian, Wynn, MGM Grand, Senado Square and the St. Paul Ruins. I must say I need to visit Macau again, I just love the place. Third day was Hong Kong Disneyland for the kiddos, there we tried to relive our childhood. After Disneyland, we wasted no time and went to Peak Tram. Fourth day was semi rest day because we went all-day shopping. Left the hotel at three in the afternoon and boarded the plane by seven in the evening. That's a short but really great vacation for the Dy-Chua cousins. I was hoping the kids felt the same too even if they got really tired from all the endless walking and trips via the MTR. Looking forward to another great vacay! All my friends knew how much I wanted to have a sister. Someone who I can share my bedroom with, pull an all-nighter with, or just stare at the ceiling and talk about anything and everything. Someone who can always be there for me, understand how it feels like to be a girl pms-ing every month, and someone I can truly call my bestfriend. I think not having a sister just made me miss one half of my life. I can just imagine the giggles and laughter that will fill our room, or the way we'd fight on who gets to have the newest top or shoes. I know the bond that sisters share with each other is unbreakable, that even if you'd fight over the biggest thing in this world, sisters will always be sisters. Reading Jodi Picoult's My Sister's Keeper made me cry myself to sleep. 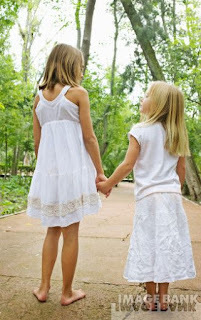 Maybe, if I have a sister, I will give her everything I have, even if that means taking a piece of me. Because she is my sister and I will do anything to be her sister. But then, there's no little sister, or big sister who I can give my whole heart to, or ran to when someone or something breaks my heart. Well, the closest thing I got to feeling that I have an elder or younger sis is having cousins who are almost twice my age. Last July 11, I spent time with them in Hong Kong, Macau and here in Manila. Shopping is indeed a sisters thing. It's a moment that keeps you closer, you know, asking what color would look better, or what kind of pants to match it with. Those kinds of things I'm missing a great deal but I was able to pull through because of my achies, somehow. What makes me also double happy is that these achies of mine are achievers, professionals. So I look up to them. The once-upon-a-time dream of becoming a doctor actually originated from one of them. They are my driving force to be on top of my game no matter what. And of course, they are the sisters I never had. I hate it when I disappoint myself. 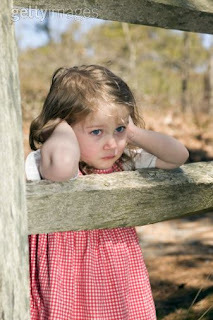 I hate it when I wish for something I know would never ever happen. But then again, that's life. Take it or leave it. I wish that day would come when I have nothing to be worried about. Not even a wrinkle on my jaw line, or few strands of gray hair. Carefree is the word. I wanna be carefree. One day, I'd wear a full skirt and dance my way around the greenest fields. I'd walk barefoot on the most beautiful beach and make sandcastles. Why is it so easy to say "Don't worry about tomorrow"? When at the deepest root of each word, lies the hardest core, the inability to comprehend that single line. I have wanted to be this and that. I have disappointed myself so many times. I guess disappointing yourself more than anyone in the world hurts the most. I have failed myself once and I don't want to do it again. I will be who I want to be, even if it's just my second option. I have zero chances of returning to and being on my first option. But if I have to live my life all over again, I wouldn't let people intrude or stop me. Not anymore. To my future children, you'll be lucky to have me as your mom. That I'll assure you. So much for disappointments. I have always been dreaming. I have always been believing. There's no stopping me now. I love looking forward to tomorrow because it's time to start afresh, anew.